Members have asked over the years, “Why don’t you have an official artist?” Well, now we do. 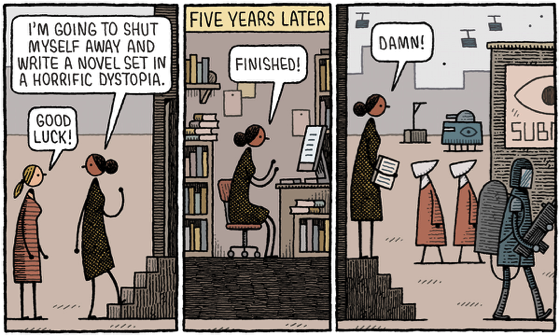 We welcome Tom Gauld as the first Cartoonist Laureate of the Authors Guild. 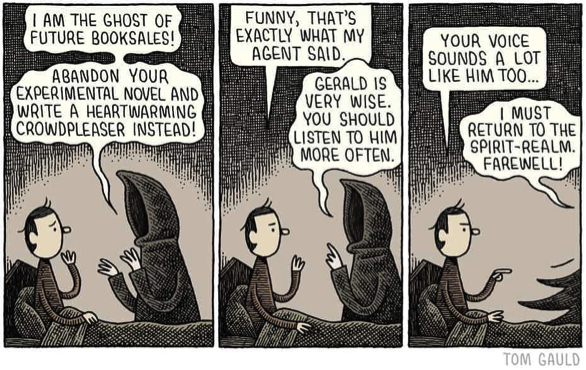 Tom is the most literary and bookish cartoonist we know. He is a Scot living in London, born in Aberdeenshire in 1976. His drawings have appeared in The New Yorker and The New York Times, and he is a regular contributor to The Guardian. He once said, “I’m interested in the visual contrast between big things and small things, and the narrative contrast between grand, heroic ideas, and small human ordinariness,” and that might be one key to what’s so appealing about his style. He has a wry sense of humor, and is uncommonly well attuned to the quirks, foibles, and needs of those of us who write books for a living. His art belongs to, or at least reminds us of, certain literary traditions, though he might be wary of saying that himself. “High Art and its occasional over-seriousness is a good topic to have fun with,” he has said. His latest book is called Baking with Kafka, and you can find it here. His drawings will appear from time to time on our website. 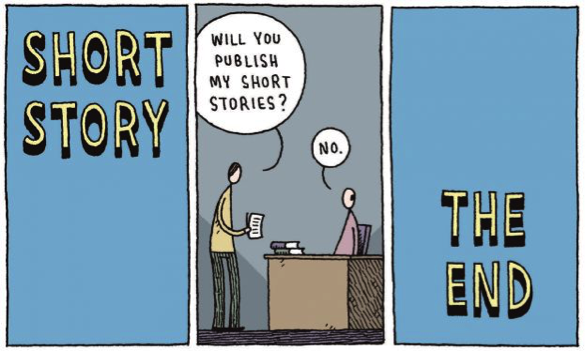 Here are a few of his latest, illustrating a category that you could call Author Problems.